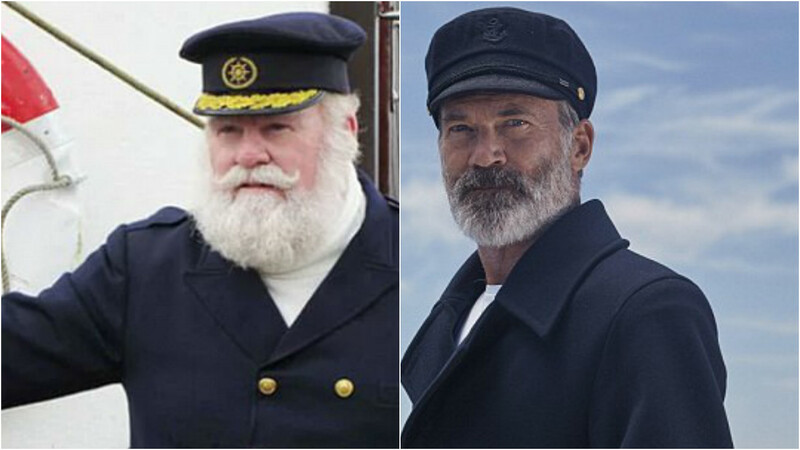 When we think of Captain Birdseye, we picture a jolly old fellow with an impressive white beard, resembling Father Christmas' sailor brother. Well, get ready for a shock, as Birdseye has unveiled its latest reboot of the iconic fish finger lover. The company has hired 56-year-old Italian actor Riccardo Acerbi to play the captain, after being picked for his younger and rather rugged good looks. The new advertising campaign has apparently cost £8 million, with a new advert airing tonight (January 8). Riccardo replaces retired fishery worker Mitch Commins, who previously took on the role aged 68, less than two years ago. The original Captain Birds Eye, John Hewer, appeared in the ads between 1967 and 1998. He died in 2008, aged 86. However, Riccardo isn't the first younger captain. Who could forget 31-year-old Thomas Pescod controversially taking the helm back in 1998? Fans were not happy at the time, and Captain Birds Eye sadly disappeared from TV for nearly 15 years.